Any who has played basketball will know the difference between the best basketball nets and the mediocre ones. The satisfaction of shooting hoops, or even playing a game, is severely diminished in the absence of a net draped over the rim. The familiar ‘swish’ sound as the ball sails through the rim is synonymous with the game, and without it, it’s just not the same. 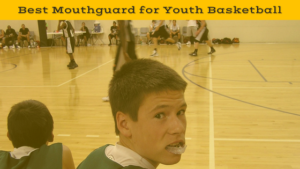 This guide will provide valuable information about what to look for in a basketball net, and what to avoid. It will cover the major brands, and offer a list of the eight best basketball nets, plus one to avoid. This will enable you to confidently choose your next basketball net for your hoop and enjoy this beautiful game to the fullest. Official NBA On-Court Basketball Net by Spalding Review: For the best net on the market, look no further than the Spalding Official NBA net. As the name suggests, this is the net used on all 30 NBA courts, as well as in the NCAA. This is no surprise given its quality. A common problem with lesser quality nets is their tendency to fall out of the loop holders. The Spalding 413-625, however, has polypropylene in the tips, meaning this is not an issue. Manufactured out of 100% polyester, this is the best net for indoor-use available. Reviews of the product are testament to this, with customers particularly satisfied with its durability and strength. If you are prone to spending hours a day draining daggers and practicing lay ups, this is the net for you. Spalding Heavy Duty Net Review: This tri-colored net is the best net for outdoor use on the market. Manufactured in the official colors of the NBA – red, white, and blue – this high quality net is constructed using heavy duty polyester construction. This means it is well-equipped to deal with harsh weather, a vital component of any outdoor net. More importantly, this durability enables the net to handle the heaviest dunks you have to offer! This net is available in plain white and for a low price. 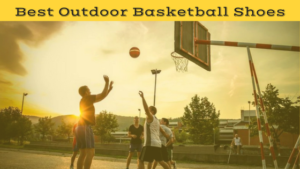 In our opinion, it is the best basketball net for outdoor use on the market. 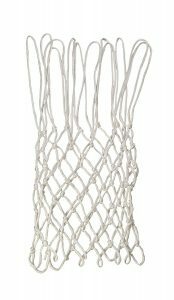 Champion Sports Heavy Duty Chain Link Basketball Net Review: Chain nets can be a great alternative to regular nylon nets, and this is the best of this variety on the market. If you’ve ever used one, you’ll know of the particularly satisfying rattle of a chain net after swishing a long jumper. Unfortunately, they are often problematic due to a tendency to rust. The Champion Sports Heavy Duty Chain net is covered with a zinc coating, which completely nullifies this issue. This means it is able to withstand rain, and is suitable for either indoor or outdoor-use. It features hooks on the chain which make it easy to attach, and is made of galvanized steel which gives it a high level of durability. Overall, a great purchase, and as good as it gets in terms of chain nets. Athletic Specialties NBR Basketball Net Review: This is an extremely solid all round net. Made out of braided nylon, this is an official sized and durable option. If you want to spend more time practicing your finishing at the rim, your jump shots, or even your dunks, this net will serve your purpose. It is simple to fix to the rim and comes in at a great price. Essentially, it has everything that you need in a basketball net. Reviews of the product are overwhelmingly positive, and with no major flaws, this is a great choice for a replacement basketball net. Franklin Galvanized Steel Chain Basketball Hoop Net Review: Another terrific chain net option. The major requirement of all chain nets is to withstand weather conditions, as many lesser quality products will rust, and this one certainly does that. Enabling you to spend more time working on your skills, this net stands the test of time, and looks good doing it. The hourglass style loops give it a unique, retro style, giving your rim a point of difference. This net fits full size basketball rims, and is easy to install – though it does not come with instructions. This shouldn’t be an issue, though, as it is easily clipped onto the rim. The Franklin Chain Net should last long enough to see your shooting drastically improve over a number of seasons. Champion Sports Deluxe Super Basketball Net Review: Another great choice for an indoor-use net. This is a longer net, measuring 21 inches, in contrast to the standard NBA net which is 15-18 inches. The extra length means the sound is accentuated on your made shots. Further to this, you are also more likely to be able to jump up and touch the nets. Some may view this as a useless feature, but it is certainly worth it to be able to show off your hops! It is also listed as a net with ‘no whip action’, which means it is more effectively able to funnel the ball downwards following a bucket. The strength of the material is also generally higher with these nets, enhancing its durability. Durability is generally related to exposure to outdoor elements. As an indoor-use net, this is a great option. Jelegant Glow in the Dark Basketball Net Review: A unique product, the Jelegant Glow in the Dark Basketball Net allows you to stay up all night practicing your jump shot. Following 15-30 minutes of sunlight, this net turns fluorescent green, and will stay that way into the night. 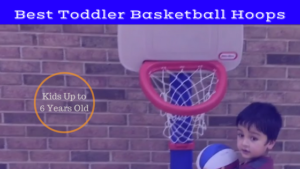 This certainly provides a point of difference from other basketball nets, and makes it a great choice for ballers who don’t have lights over their basketball rims. The concern with a different product such as this will always be that the quality is compromised, however this is not the case here. This net is made of nylon and cotton, and is very durable. Reviews of the product have raved about the net’s ability to handle all conditions, as well as the customer service of Jelegant. The price is also worth mentioning, as this product is available for a very low cost. Overall, this is a terrific and unique choice for a basketball net. Krazy Netz Polyester Basketball Net Review: Like the Jelegant Glow in the Dark Net, Krazy Netz offers a unique type of basketball net. Available in a wide variety of different colors, this net will give your basketball rim a unique look. The colorful appearance will attract you like a moth to a flame, meaning you’ll spend more time practicing your moves and improving your skills. Importantly, the net is also of great quality. It is anti-whip, meaning it will hold its shape, and is weather resistant. This is particularly important given its bright color, which would fade easily if the product was made of lesser quality materials. The heavy-duty nylon materials means it will last for a long time, providing you with many seasons of that beautiful swoosh sound as you drain your fade-away jumper. Classic Sport Steel Chain Basketball Net Review: This is definitely a net to avoid. It claims to be made using high quality materials which won’t rust, however it will rarely get a chance to. Reviews highlight a number of problems with this product, with many claiming it struggles to last through one session of shooting. The chains fall apart, it gets tangled, and it unclips easily from the rim. All these factors are necessary to make a rim adequate, and this one does not pass the test. One redeeming feature is that it is cheap, but this can be said for many far better quality nets. Spalding: Spalding rightly claims to be one of the best basketball brands around. Established in 1876, basketball has been a major focus of the company since the beginning. 140 years is ample time to develop some pretty high quality products, as well as a wide range, and Spalding certainly has this. The provider of the official NBA Basketball, as well as the net and backboard, Spalding is the official choice of the NBA. If this isn’t enough to convince you, try out their products. They are all of extremely high quality, and will help to make you a better player. The organisation prides itself on manufacturing the best basketball equipment on the market, and this is evidenced through the products themselves. 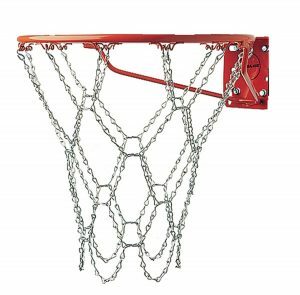 As far as nets go, Spalding provides chain and nylon options, both of which are very durable. A leader in the basketball equipment industry. Champion Sports: Champion Sports has been around since 1961, when Bernard Meller manufactured his own Leather Boxing Rope. Since then, the company has grown into a giant of sports equipment, and has some good quality basketball products. Though their range is not as extensive as Spalding, Champion still manufactures a number of basketballs, nets, as well as a couple of accessories. Their range of nets is perhaps a strong suit, with a variety of chain and different style nylon nets available for purchase. These vary in size and colour, but all have durability in common. Never will a purchase of a Champion basketball product disappoint, and this is no different with their nets. Importantly, they also let their equipment go for a very reasonable price, despite its good quality. Overall, this is a very solid brand which creates some of the best basketball nets. Give them another few decades and who knows, maybe they’ll be matching Spalding as an industry leader. 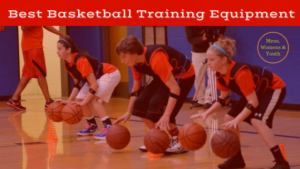 Though a basketball net may not the most important piece of equipment you will purchase to improve your game, it is still vital to have the right one. Bad quality nets can prove a huge hassle, as they continually fall apart, fail to withstand weather, and fall off your rim. If you want to spend more time hitting pretend game winners, it is important to buy a net made of good materials to enable durability. Nylon Nets: Nylon nets are what you picture of a net on one of the best basketball hoops around. In all professional basketball leagues, and most adult recreational leagues, nets are constructed out of nylon. Nylon is generally a strong but flexible material, making it perfect for basketball nets. It enables the net to widen to allow the ball through after you bury a deep three, while still holding together for a long time. Lesser quality nylon nets can tear quickly, so it is important to ensure yours is of a good quality. Another benefit of nylon in the construction of a net is the sound it makes as the ball passes through. Though this is a superficial quality, anyone who has played basketball will know how much the satisfaction of hitting a shot is improved in the presence of a good nylon net. Chain Nets: When you imagine of a game of street ball, or of a 15-year-old NBA hopeful shooting hoops on a concrete outdoor court until all hours of the early morning, it is likely your image contains a chain net. These types of nets are generally made of steel, which makes them particularly strong. You can hang off these for hours and they won’t break, while nylon will. This makes them a great option for outdoor, public courts which get a lot of use. A drawback of these nets which is not present in nylon nets is their tendency to rust. The better quality chain nets are generally coated in a zinc-coating which prevents this from happening. Another difference from nylon nets is the sound these nets make. Though this may not have an influence on your ability to sink a basket, it does alter the experience somewhat. Many ballers love the rattle they make as the ball drops through, which is a lot louder than the sound of nylon. Passers-by will be fully aware of your made shot through a chain net, though a little extra celebration never hurt anybody. Durability: Durability is perhaps the most important factor to consider when determining to buy one of the best basketball nets. Many low quality nets can fall apart relatively quickly, and the satisfaction of hitting a long jumper is severely minimized when the net is falling apart. Ensuring your net will not do this, and that it will be able to withstand the elements to which it will be exposed, is vital prior to your purchase. Otherwise, you’ll be buying a replacement basketball net every other week. Material: The material a basketball net is made out of is inherently tied into its durability, and so is another important factor to consider. Nets made out of high quality nylon are generally quite durable, however many similar looking nets are made out of slightly different material which can affect its quality. With this in mind, it is important to do your research before a purchase. Chain nets are an alternative option, and have their benefits. It is crucial to ensure these are coated in a material which will prevent them from rusting, as this can be a problem with these nets. Cost: As with any purchases, the cost plays a role in determining what is the most appropriate purchase for you. 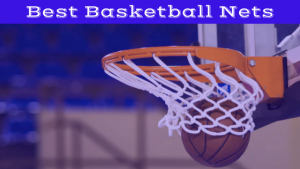 Generally, even one of the best basketball nets is not going to break your bank, though it is sometimes worth forking out an extra few dollars for a high quality net. These can last years, while certain cheaper nets may be falling apart within a day. Lay the net down flat on the ground. You’ll notice that there is a wide end and a narrow end. The top of the net, which you will connect to the rim, is the wider section. Grab this top section in two hands, and head to the rim. Get your head to the height of the rim. Generally, this will require a ladder, unless you’re 10 feet tall. This is important as the actual attachment of the net to the rim can at times require some awkward and tight maneuvres. You need to be able to see exactly what you are doing from a stable base. Grab one loop ending from the top section of the net, and push this through one of the links. You’ll notice that the links have a small gap at the top which enables you to push the net through. Often, this will require some force, as the gap is deliberately small to ensure the net will be tightly attached. Once the loop is through the link, push it downwards so that it enters into the smaller sections on the side of this link. Again, this sometimes needs a bit of force. Once you’ve pushed the net loop downwards, pull the net towards you. This will lock the net into place in that particular link. Repeat this process for each link. Ensure that you put the loops into the appropriate links – if you skip a loop, and lock the wrong loop into the wrong link, there will be an empty link left over at the end. Your net will be lopsided, less aesthetically pleasing, and more prone to damage. Basketball nets are crucial in ensuring you get maximum enjoyment out the game. They can provide that little extra bit of enjoyment from practicing jump shots, and make it easier to imagine you are on an NBA floor. There are many factors to consider when purchasing a net, including materials, durability, and cost. Unfortunately, some of these products are prone to falling apart very quickly, so avoiding these is key. The most common materials used are nylon and chain, and each of these has benefits and drawbacks. 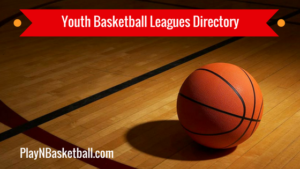 It is important to decide what is most suitable for you, and this list of the top eight basketball nets should help you to do this.